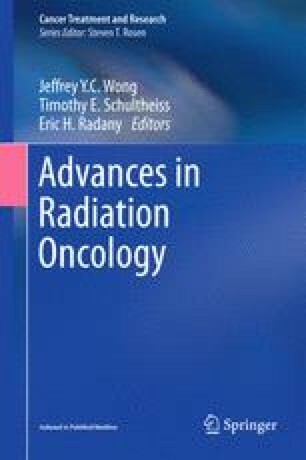 Traditionally, radiation therapy was viewed as a localized treatment to eliminate an “in field” tumor or metastasis or total body therapy, when used as a strategy to elicit immunosuppression in preparation for allogeneic transplant. Over the past decade, the purview of localized radiation therapy has been expanded to include a role as an adjuvant to immunotherapy. It is now recognized that radiation therapy to a tumor has the potential of converting it into an in situ vaccine, by releasing relevant epitopes and neo-antigens and inducing cell death signals that enable cross priming to activate tumor-specific T cells. Once successfully activated, the immune system contributes to the elimination of the irradiated tumor. If immunological memory is achieved, the patient’s immune system can also reject systemic metastases, outside the radiation field (the “abscopal effect”) and maintain durable tumor control. We summarize the current knowledge of radiation therapy’s effects on the immune system, including results from preclinical and clinical trials, as well as future directions in combining radiotherapy and immunotherapy.